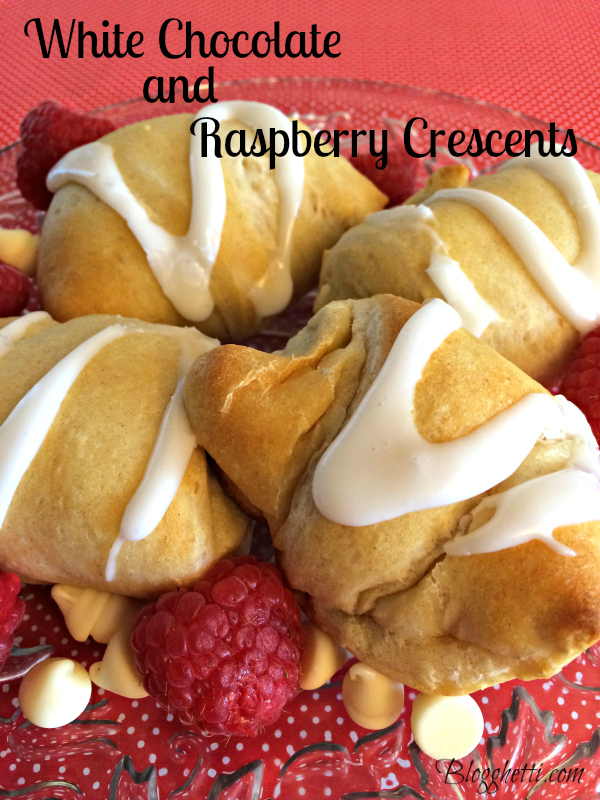 These White Chocolate and Raspberry Crescents are a sweet way bring a smile a special someone’s face. Flaky crescent rolls are filled with white chocolate and fresh raspberries, and baked till golden brown. Have you ever stepped into a bakery with the intent on just getting the item you walked in for? Yea, me either. The smell of fresh baked pastries, bread, cookies and more hit you the moment you open the door. Growing up we had a bakery, Douglas’ Bakery, in town that I swear they laced the baked goods with something to make you want to buy more than the 25 cent (yes, 25 cents) doughnut you wanted. We didn’t live in town but on the outskirts so it was probably a good thing that I couldn’t walk in there all the time. Occasionally we would get some doughnuts or cookies and it was just a bit of heaven. Douglas’ was in town for many years before they closed their doors, what a sad day that was! My family and I were home for a visit and I wanted to go there, to show the girls a bit of “hometown” and to my dismay, I was told they had closed. It was very strange to walk downtown and not see the bakery there on Main Street. A piece of my childhood was gone. Awhile back a piece of that childhood came back, even for a moment. I was in a coffee shop/bakery with a friend and the smell of all the baked deliciousness of Wilson’s came flooding back. My eye caught sight of a chocolate filled crescent roll and I was a goner. Filled with dark chocolate and white chocolate was drizzled over the crescent – so good! This was a perfect way to catch up with each other’s lives and we savored the moment till the last bite of that chocolate goodness. Flash forward to life last week, I was craving something sweet but had no desire to make something elaborate and my chocolate stash was totally empty. I really wanted that chocolate crescent! So, I settled for these White Chocolate and Raspberry Crescents and they hit the spot! 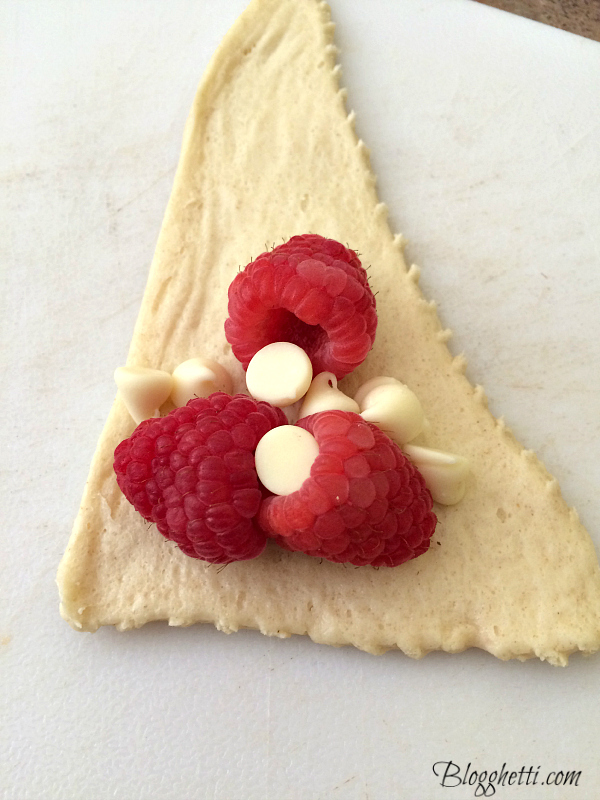 A can of crescent dough, fresh raspberries, and white chocolate chips = instant craving gone. Oh, and the powdered sugar glaze made it even better. Super easy to make. The sweet crescents also taste wonderful with dark chocolate chips and raspberries or a combination of semi-sweet chips and caramel chips. These White Chocolate and Raspberry Crescents are a sweet way bring a smile a special someone's face. 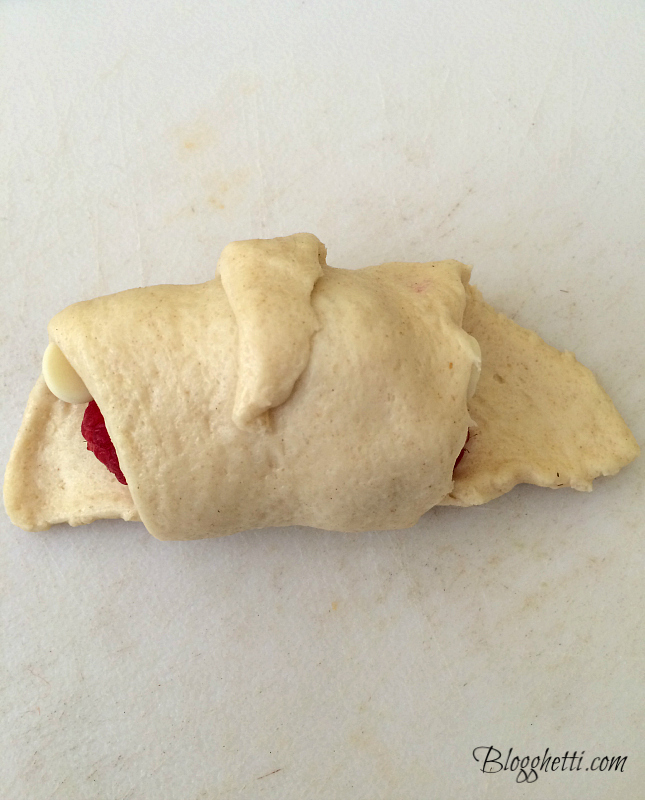 Flaky crescent rolls are filled with white chocolate and fresh raspberries, and baked till golden brown. Preheat oven to 375 degrees. Spray a baking sheet with non-stick spray. Unroll and separate crescent dough into 8 triangles. Place about 3-4 raspberries on the wide part of the dough. Any more than this will not fit once you roll the crescent up. Place about 6 white chocolate chips around the raspberries. 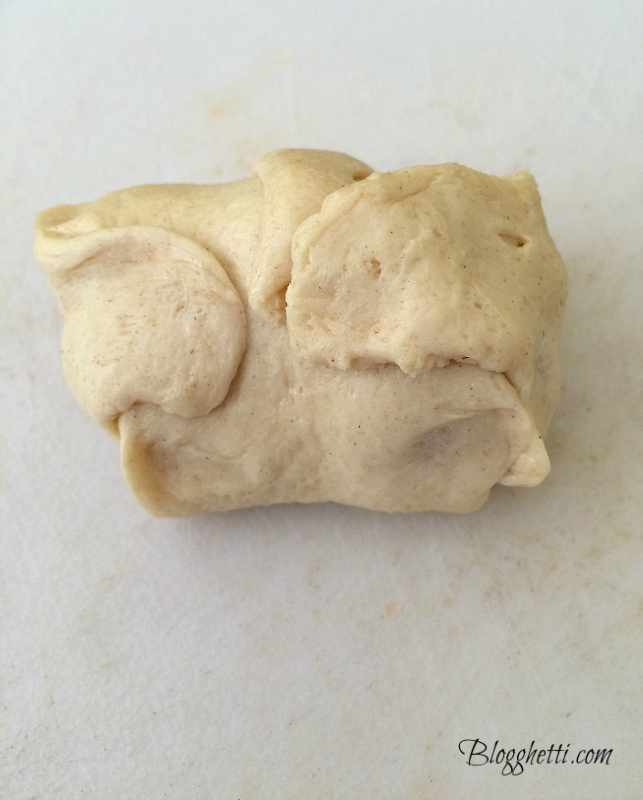 Roll up dough starting at the wide end, folding over the sides so the filling stays inside. Place on baking sheet with space between each crescent. Bake for 10 - 12 minutes or until done. While crescents are cooling, mix the powdered sugar and milk together. Depending on how thick or thin you want your glaze, add more sugar or milk to get the consistency you like. Drizzle glaze over cooled crescents. I missed this week’s hop, Katherine, but I’ll be there next week! These sound amazing! I love fresh raspberries. Although I think I might need to switch the white chocolate to milk chocolate because I like it more. But they sound simple enough that even I could make them. Thanks for sharing. Kristen, any kind of chocolate is great in these sweet treats! I like dark chocolate with them too. These crescents look delicious and I really like that you used white chocolate here!